If you haven’t already, contact us to receive the Pre-Release email for the Large Format HPM of Johnny KMNDZ’s “Grenade Wren”! 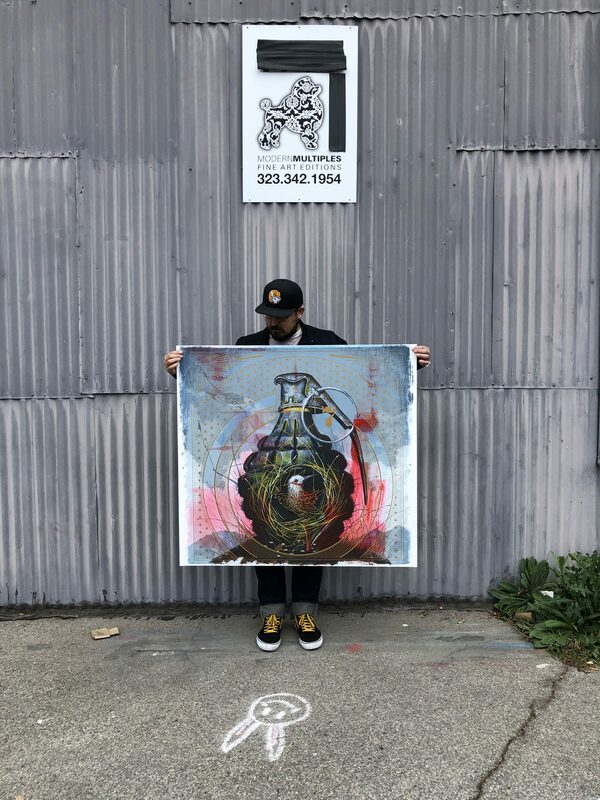 Signing of both editions will be this coming Thursday and anyone who owns one by then will be gifted a small format print and invited to Modern Multiples to hang with the artist and print team during the signing! Final touches to KMNDZ’s “Grenade Wren” have been completed, all we are waiting for now are signatures from the artist himself. HARDLY! There are over 15 hand separated layers created by the Modern Multiples team based on an original painting by KMNDZ AND over 20 hours of painting by the artist himself! 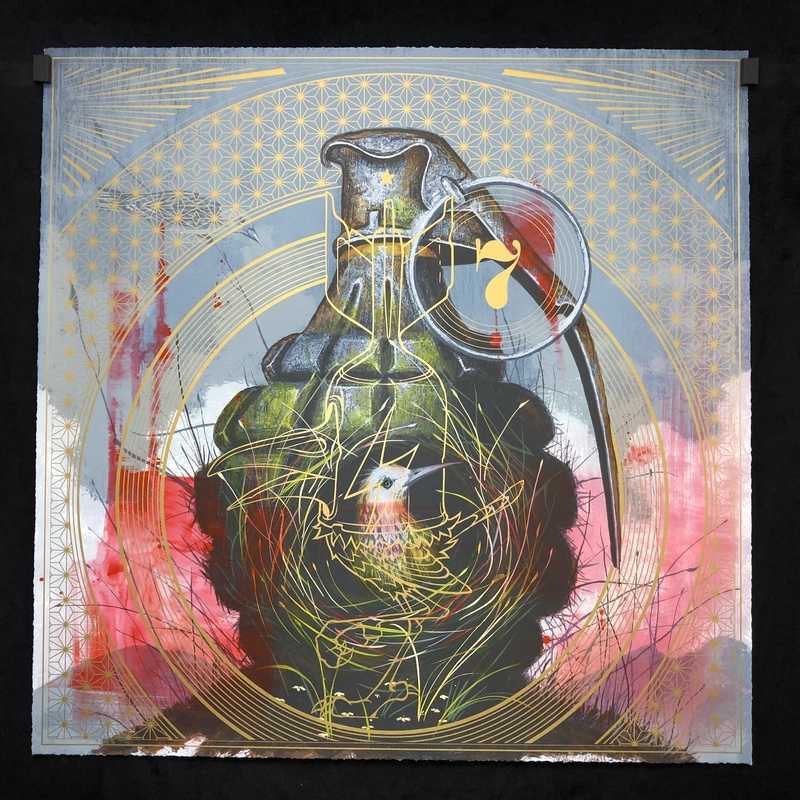 This Hand Painted Multiple (HPM) edition has hand work and digital design, has transparent metallic inks is printed on 300g paper so heavy it might as well be canvas, and spawns from KMNDZ’s desire to organically collaborate on a print unlike any he ever has before with the late Richard Duardo’s Modern Multiples. Very excited to release this edition of only 20 towards the end of the month! DM to get on list for PRE-RELEASE price! In addition, KMNDZ Small Format Grenade Wren edition of 100 are about to be deckled for release on April 27th. $50. Previous post: Art Brewery 2019: Coming up next week April 6-7 !